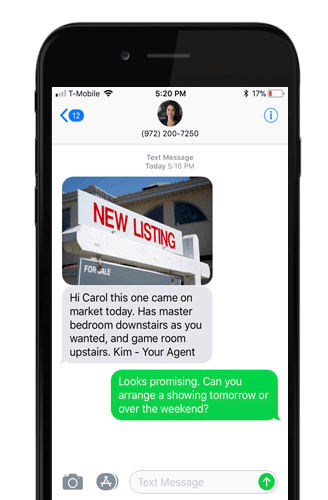 Realtors need to keep in touch with active prospects and engage them by giving them immediate access to new listings, updates on properties, market news, etc. Many realtors send out newsletter that get lost in email, but with Textellent these informational notifications will get noticed and are easy to manage. The two-way dialogue can help them track their interactions with each client and keep them appraised of the properties that interest them. Sending invitations for appointments for house viewing can reduce the back & forth time spent trying to arrange showings. Sending birthday greetings and holiday greetings are a snap and keep realtors engaged with clients year-round increasing referral business.